Do you have Php1M? Ever Considered a Hap Chan Franchise? 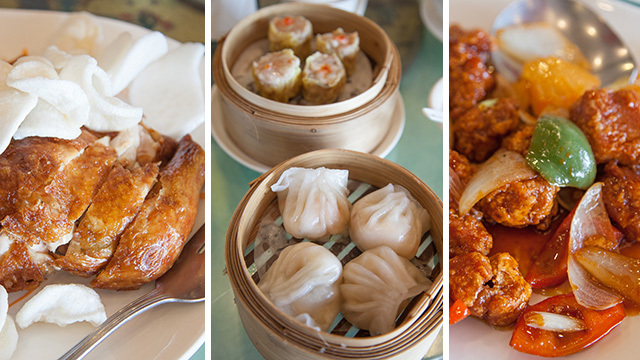 Hap Chan has been serving authentic Chinese food since the late 1990s. In fact, China's World Federation of Chinese Catering Industry recently awarded them the Feng Huo Cup, or the Asian equivalent of France's Michelin Star. They’ve also been featured in various magazines in China urging tourists to visit Hap Chan when they travel to the Philippines. The chain’s delectable food and authentic ingredients has caught the eye and taste buds of both customers and franchisees. 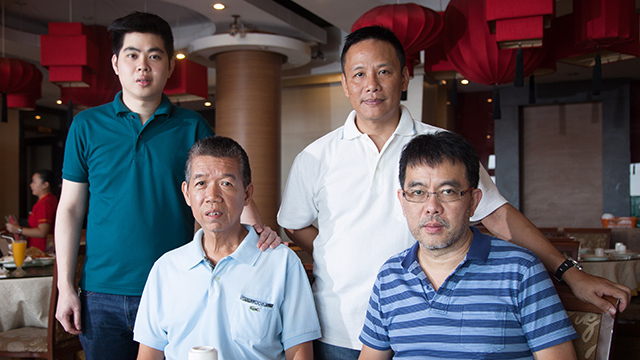 That’s why when Hap Chan started franchising in the early 2000s, many people were quick to recognize their potential. With over 80 branches and counting, the company’s plan has always been to open at least 10 branches every year, according to Raffy Gutierrez, Hap Chan’s marketing head. “We plan to open our 100th branch by the end of year,” he shared. So what makes Hap Chan attractive to franchisees? The company says its profitability and the overall support given to franchisees. “We believe in the concept of inclusive growth. When they grow big, we grow big. This is why our franchisees open more than one branch,” Gutierrez said. Hap Chan has five concepts or styles of restaurants. The first one is the Seafood Restaurant, with the flagship store in Harbor Square, Pasay City. 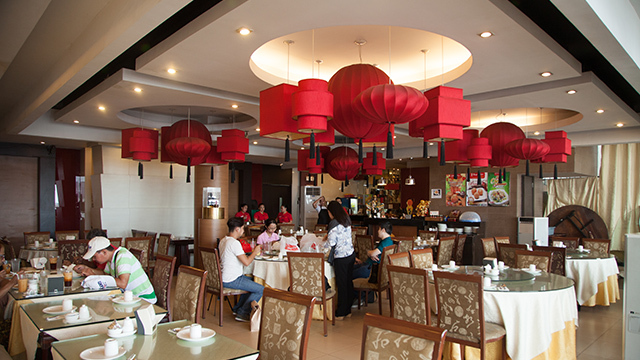 They have well-trained Chinese chefs preparing the food and they make use of live seafood, which are cooked fresh. Aside from Harbor Square, they have another branch in Boracay. Most of these restaurants are large in floor area, with function rooms that friends or families can rent for occasions or simple gatherings. The second concept is the Full-Service Restaurant, like the ones in West Avenue and Malolos. It’s currently the concept with the most number of branches, with 46 and counting. 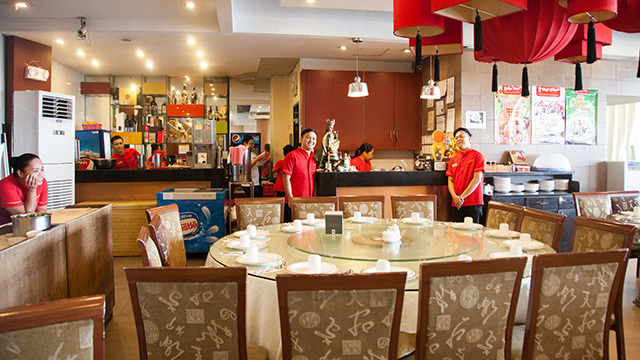 The Full-Service Restaurant is similar to the Seafood Restaurant but these places are usually smaller in size, without function rooms nor live seafood. The third concept is the Tea House and one can usually see these in malls, such as those in several SM and Ayala malls and even in car parks like the Makati Dela Rosa carpark. Gutierrez said that Tea House concept is easiest to franchise and operate. Since the space is smaller due to the high price of rent in malls, it would require less manpower, thereby reducing costs. The fourth concept is the Express and can usually be found in food courts such as those in Greenhills or Robinsons Magnolia. Currently, all the Express stores are company-owned. Gutierrez said they are testing it first before offering it up for franchising. The last and latest concept is Shabu-Shabu, which is being pilot-tested in Batangas. Even for the materials of the tables used for the shabu-shabu, they make sure they are of the highest and most durable quality, according to Gutierrez. In fact, the careful detail they put into every aspect of their business is what sets them apart from their competitors. This is especially true for their cooking style and ingredients. 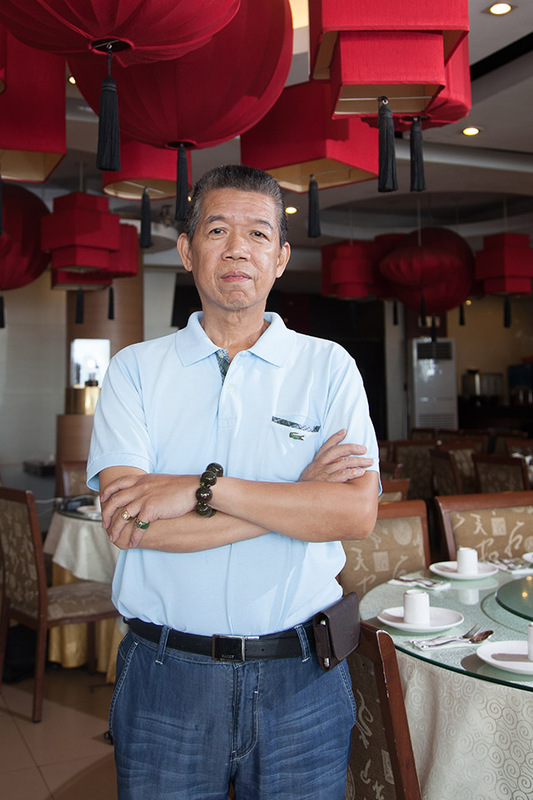 For the franchise fee, Gutierrez said that they offer Php1.5 million franchise fee for the Seafood and Full-Service Restaurant concepts and just Php1 million for the Tea House concept. The estimated total to set up the business is around Php12 to Php15 million for the Seafood and Full-Service Restaurant concepts and around Php8 to Php12 million for the Tea House concept. “It depends on the scale because the bigger the restaurant, the more expensive,” Gutierrez clarified. For example, the Makati Dela Rosa Tea House branch may cost less than Php8 to Php12 million, he said. For the royalty fee, Hap Chan charges five percent of the revenues. This is lower compared to other restaurants, according to Gutierrez. Gutierrez said a lot of their franchisees are happy with Hap Chan, and most open more than one branch. In fact, one of their franchisees who just opened a branch in Baguio is already considering opening another branch after being open for two weeks! Another group of franchisees already has four branches. Aside from profitability, their franchisees are also happy with the quick return of investment (ROI). Gutierrez and the rest of the upper management also makes sure to support their franchisees every step of the way. “We’re there from beginning to end and we really take care of them,” he said. The team meets every Monday to talk about each branch and what needs to be improved. For Gutierrez and the rest of the management, no problem is too small. They would talk about marketing support, warehouse support, training of the chefs and ways to improve the service of their employees. They also regularly assess regulations and policies. In these weekly meetings, they would also discuss even the smallest challenges, like if a certain branch needs a new table. Gutierrez said this is because management is very invested in the company and that they believe in the concept that started Hap Chan—that it should be a place where families and friends could gather and enjoy a delicious meal together. Franchise Talk: How Did the Philippines Become the Franchise Hub of Asia?